.... this Friday brings you a Then &Now Refashion Revisited. If you don't know me I love to refashion items to give it a different look or just simply new life. This black lace was a pullover garment I purchased in 2014, despite not liking how the garment looked on me, the fit was good. I didn't want to leave without them, there was that something ... that something kind of potential and purchased 4 of them at $4.99 each. 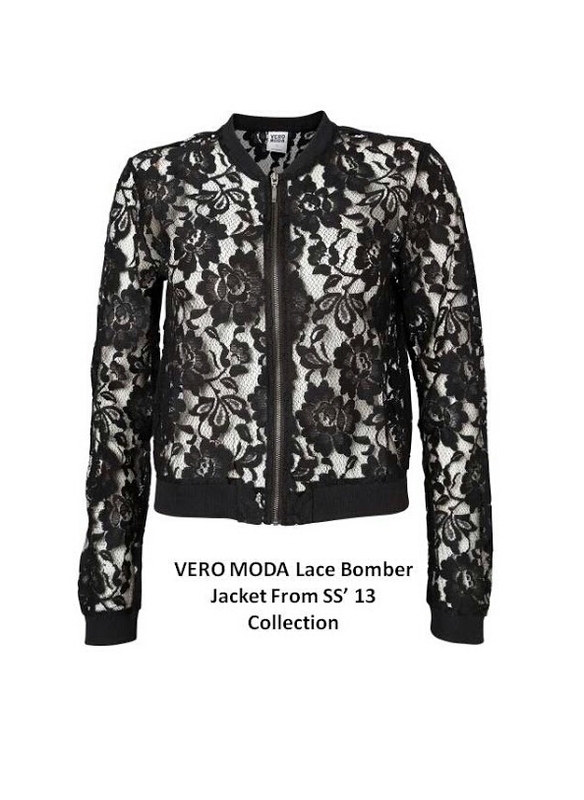 I was inspired by Vero Moda lace bomber jacket. Of course, I could've used a sewing pattern, but heck why reinvent the wheel. These pullover tops were just the ticket to take them from oh hum to just what I need. Below are progress pics of how I turned the pullover tops into summer jackets. So elegant & classy! Great job! Great refashion and the styling is perfect! You are the queen of refashion. Then & Now are my favorites post. Luv the jacket. Very cute. I always like your refashion ideas!!!! This is great and it was a perfect topper for the weather we are having!